Really? A recipe for egg salad? 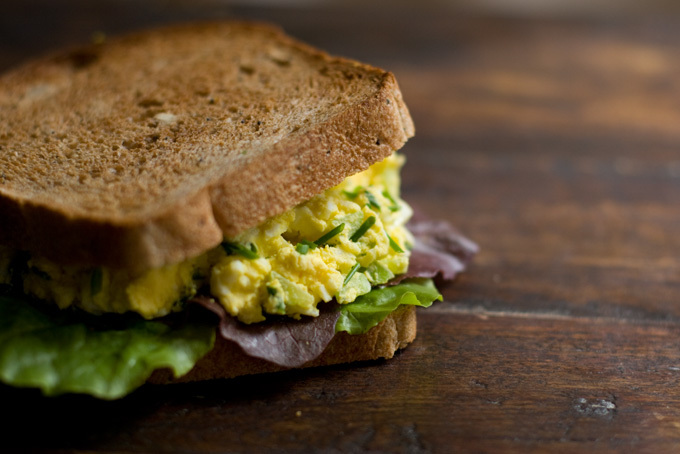 Well considering we posted a recipe on the proper way to hard boil farm fresh eggs, why not explore recipes for egg salad? Plus there are so many different variations out there! Once you’ve perfected the taste and consistency of your simple egg salad, it’s time to start experimenting with other ingredients, such as; celery, minced onion, parsley, chives, shallots, red onion, horseradish, relish, paprika, tarragon, Tabasco, curry powder, bacon … really, the list is endless. And don’t forget to put your masterpiece on some fresh, hearty and delicious bread, preferably whole grain – no toast.